Those who have clay tile roofs and asphalt shingle roofs need not worry. We at Solari have a solution – out stainless steel bigfoot hooks are more than qualified for the job. 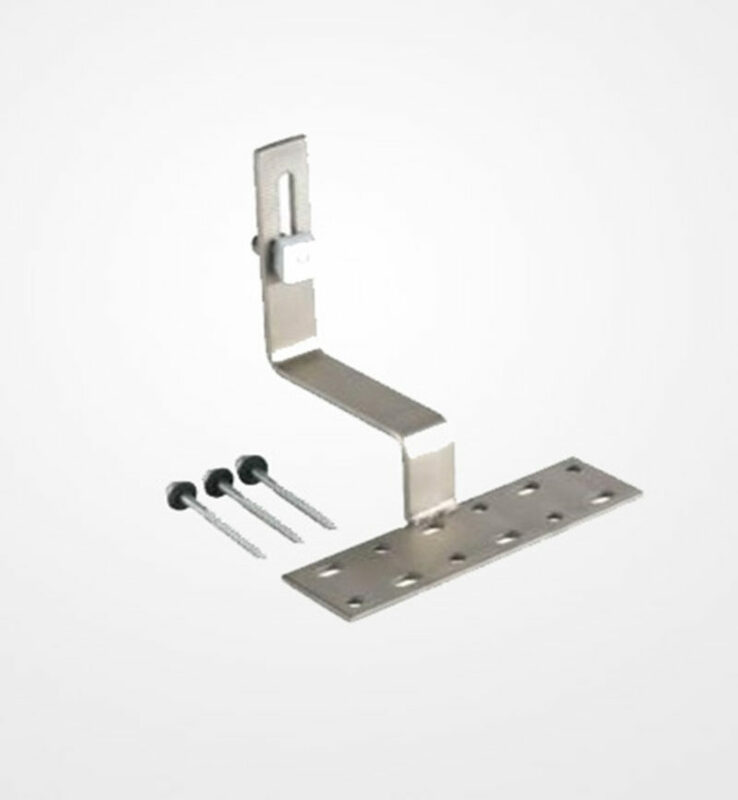 It comes with 3 screws each, as well as the nut that attaches it to our rail. There is no need for L feet when this is present.